Major mixed use development a short distance from Liverpool city centre, close to the M57/M58 interchange, Switch Island. Available under competitive and flexible terms to suit a variety of requirements. The Business Space benefits from 5 to 6 metre eaves height, 3 phase power, large roller shutter access; Office Space benefits from kitchenette and wc facilities and electric roller shutters to all entrances. The site has 24hr manned security 365 days per year and CCTV coverage. Street which runs adjacent to Duke Street. The property benefits from a large meeting room and archive store at basement level with staff and communal facilities located in the first section of the basement. The ground floor comprises of an open plan office which leads directly onto Argyle Street. The property forms part of an imposing corner building situated over three storeys of solid brick construction with a pitched slate roof. The premises comprise of two ground floor retail units which have been combined to provide a reception area, meeting space, office and a series of meeting rooms to rear. There are two offices, a kitchenette and male and female WCs to the first floor. Single storey buildings available in two lots. The buildings have been used for various purposes – a toilet block, offices, medical centre and garage facility. Located in the Stopgate Lane Industrial area of Aintree with good access to the motorway network. Various suites available in substantial 8 storey 1950′s building in central location. The buiding has a manned reception and 24 hr access, the common parts have recently been refurbished and there is new double glazing throughout. 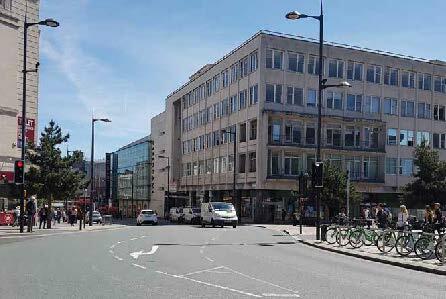 In the heart of the traditional business district yet within easy reach of Liverpool One. Good public transport links and amenities. Church House is an elegant four-storey Grade II listed building which has been carefully refurbished to provide high quality office accommodation on three upper floors. Liverpool One offers a huge variety of shops, restaurants, hotels and leisure facilities – creating a vibrant new commercial heart for the city. 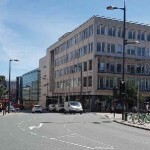 The QEII Law Courts and Castle Street are within a few hundred metres making Church House an ideal location for those seeking prestigious business accommodation in the city centre. Unit 1F Columbus Quay is a stunning property designed in an attractive Pavilion style with balconies overlooking the river. Columbus Quay occupies a commanding position fronting directly on to the banks of the River Mersey with expansive views of the Wirral Peninsual and Mersey Estuary beyond. Situated approximately two miles south of Liverpool City Centre, the area has seen dramatic change over recent years including major residential, leisure, car showroom and office developments. Merchants Court is central to the City’s business hub and is surrounded by world class retail offerings, including Liverpool ONE, the Met Quarter and Cavern Walks. Entering the building from Lord Street, the occupier will be met with an impressive, contemporary, light filled, double height main reception and a spacious, well illuminated lobby with two passenger lifts leading to four upper floors. The available accommodation is on the 2nd floor and comprises an open plan suite of 6,400 sqft. This floor is capable of sub-division, so suites could be formed from 1,200 sqft up to 6,400 sqft. Dominick House is a modern 1960’s style office building with a typical flat roof and asymmetric rectangular floor plates, distributed either side of a central core which houses the stairwell, lifts and entrance foyer. It comprises of 28,343 sq ft (8,667 sq m) over ground and 4 upper floors. The principal elevations have double glazed UPVC window units with a remodelled main entrance foyer.